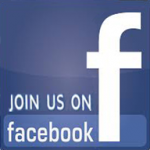 Dear Ark friend, SPREAD THE WORD with your relatives and friends: follow us on facebook! LUFTHANSA in Almaty is the new entry sponsor for the new house. The Ark friends donate all the necessary equipment for the school.